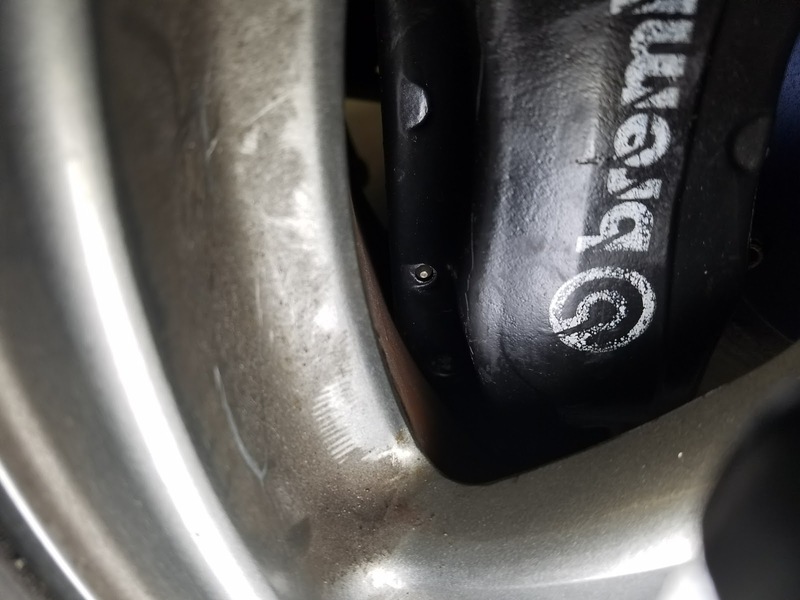 Do 16 Inch Wheels Fit Over OEM Brembo Brakes? The R32 Vspec and Vspec II got a brake upgrade in the form of Brembo calipers, and larger rotors front and rear. 324mm x 30 mm Brembo front vs a 296 mm x 32 mm Sumitomo/Nissan front. 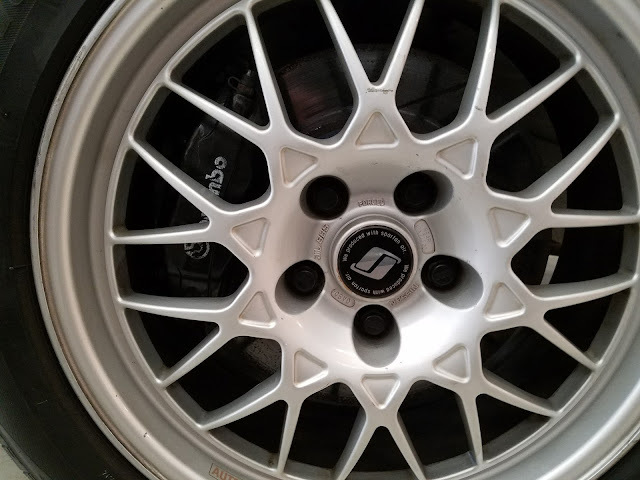 This larger rotor and caliper required the Vspec and Vspec II get a 17 inch wheel, or did it? 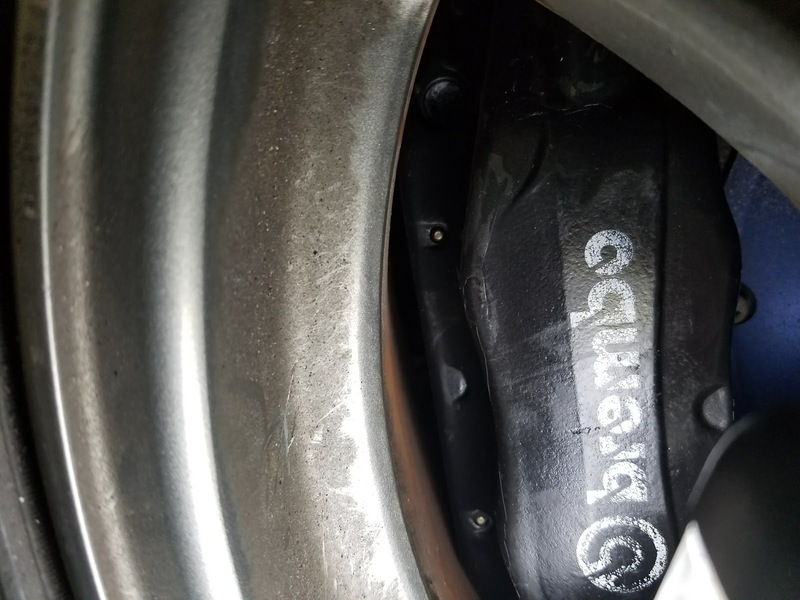 This is one of those things, that gets repeated over and over, but something we never tried ourselves, so with an R32 with OEM Brembos mounted, we gave it a try. Showing contact points against the barrel, but surprisingly the face of the wheel clears. 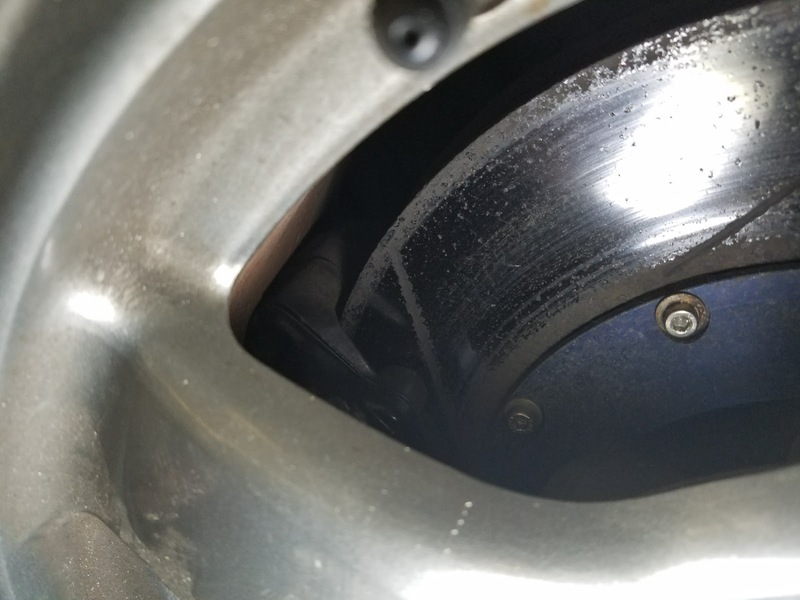 We were surprised the OEM 16 inch wheel fit over the brakes, and sat flush against the rotor. However spinning the wheel would have been a problem. Each end of the caliper was hitting the barrel of the wheel. So a slightly different 16 inch wheel, with a different barrel shape might clear. You would need about 4-5 mm extra clearance to realistically be able to run the caliper. More if you were a bit more serious. 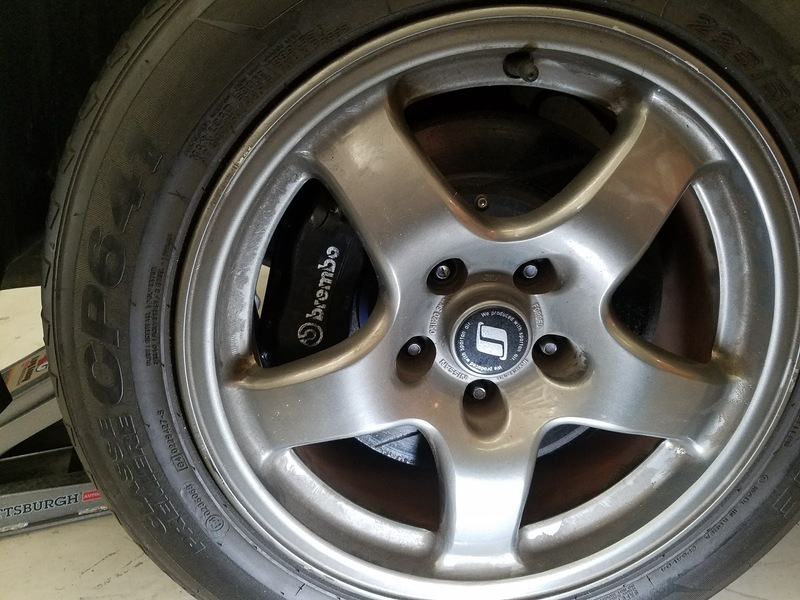 OEM 17 inch Vspec wheels over the 324 mm Brembo brakes.